The Jennifer bracelet is a layering essential and simple everyday piece for your wrists. 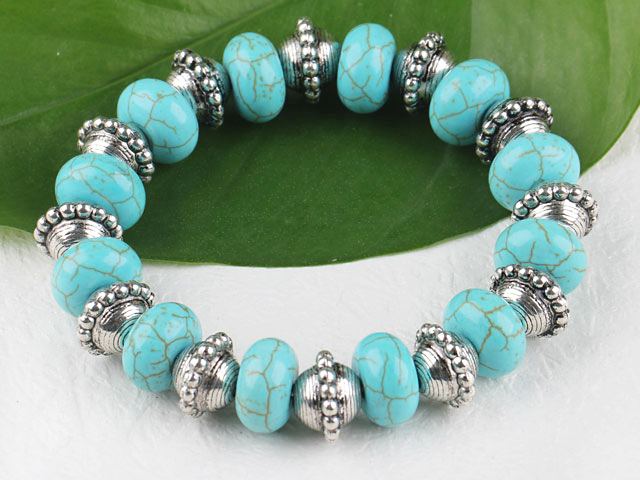 Featuring an interchanging adornment of turquoise-hued beads and silver Tibetan spacers. Pop it on with stacked layers of friendship bracelets , bangles, and a multitude of gemstone rings. Buy this high quality and cheap costume jewellery piece from our online shop today.